I’ve been designing and teaching fitness and yoga classes, but now this honorific role extends even further. The travellers’ mentality has evolved. It’s a bit like “40 is the new 20”: millennials want to live healthier and feel healthier. They’ve defined age not as appearance but as the overall feeling of wellbeing. Checking-in at a Pullman resort, you’ll be offered a choice of four healthy juices: Age Defence, Energy-Boost, Detox, or Balance, which can be combined with a corresponding work out. Those tailored programs have three levels, beginner, intermediate, advanced, and are 7 minutes long. We are shooting videos of these 7-minute workouts in heavenly Thailand, and they will be shown in the guest-rooms of Pullman hotels across the globe. We believe that the better our guests feel while travelling, the more successful their trips will be. And that’s true whether they are travelling for business or pleasure. Pullman Hotels & Resorts enhances its commitment to well being through a brand new holistic approach, which aims to create a healthier generation of travellers. 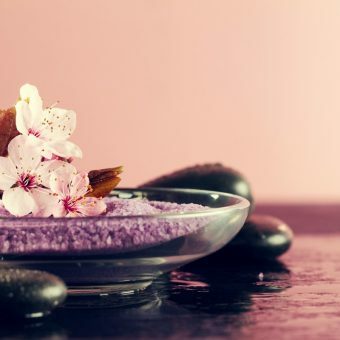 Based on the 4 universal pillars of wellness – Sleep, Food, Sport & Spa – this well being strategy has been launched in the modern and elegant Pullman Dubai Jumeirah Lakes Towers. As part of this initiation, Pullman Hotel & Resorts will be glad to introduce Sarah Hoey as Pullman’s new Wellness Coach. Pullman Hotels & Resorts truly believes that wellbeing should be accessible to everybody. At the heart of Pullman Hotels & Resorts challenge are the guests – the millennial frequent travellers – addressing their needs as an on-the-go nomad who seek to enjoy wellbeing experiences whenever and wherever they travel. They seek the optimal, but often elusive, balance of productivity and personal wellbeing and Pullman Hotels & Resorts has developed the wellbeing offer, especially adapted to their needs. Based on the 4 universal pillars of wellness – Sleep, Food, Sport & Spa, Pullman has designed a complete wellness offer for fitness & spa embracing 4 themes: Balance, Energy, Detox and Age defence. Sarah Hoey is a personal coach, fitness model and certified nutritionist. She has professional wins and coaching achievements throughout the world and is passionate about sharing her skills and knowledge. Her holistic take on fitness and love for teaching make her the perfect candidate to become the Pullman Global Wellness Coach. Through yoga and workout videos, Sarah will deliver a more dynamic and engaging experience for the guests, enabling them to live a stay which balances performance with enjoyment. Besides, Pullman is committed to helping the guests start their day the best way possible! The Active Breakfast, also designed by Sarah Hoey, will deliciously cover all four themes of Detox, Balance, Age Defence and Energy Boost. As for the last pillar of wellness – Spa – Pullman knows that everybody is different and that bodies change throughout the moments of each day. The wellness experiences are designed to match these moments, ensuring energy is restored, relaxation achieved and blissfulness bestowed. 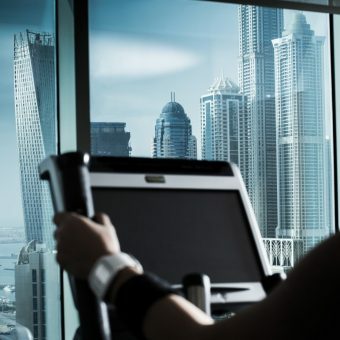 Pullman Dubai Jumeirah Lakes Towers has recently rolled out Pullman’s holistic approach of well being that aims at creating a generation of healthy travelers. The property has implemented a variety of detox juices according to Sarah’s tried and tested recipes and overhauling the breakfast menu to offer more sugar free, gluten free and protein breads. The Fit & Spa team will also be trained by Sarah; gaining her wisdom and experience on health, well being and fitness. A dedicated Sarah Hoey in-room TV channel displaying 7 minutes workout videos and an extended 45 minutes yoga session video is available for all guests who wish to workout in their rooms. In addition, guests can call the operator and request for a Pullman Fitness Bag to be delivered to their room free of charge for usage up to 4 hours.